Interview: Barbara Natterson-Horowitz, Author Of 'Zoobiquity' Animals and humans have a lot in common, including some of the health problems that plague them. 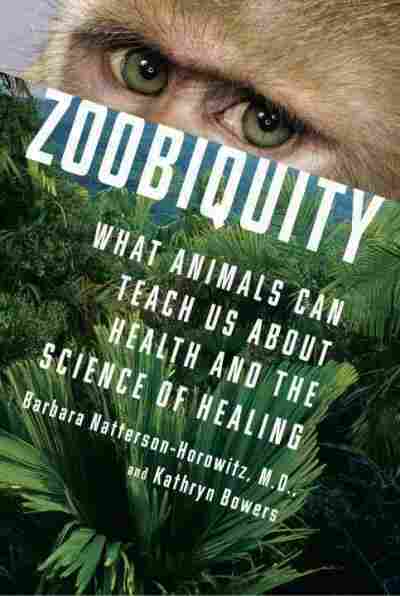 In her book Zoobiquity, Dr. Barbara Natterson-Horowitz explores how studying animal illness — from cancer to sexual dysfunction — can help us better understand human health. Barbara Natterson-Horowitz is a cardiac consultant for the Los Angeles Zoo, a member of the zoo's Medical Advisory Board and director of imaging at the UCLA Cardiac Arrhythmia Center. Dr. Barbara Natterson-Horowitz, a cardiologist at the UCLA Medical Center, coined the term "zoobiquity" to describe the idea of looking to animals and the doctors who care for them to better understand human health. 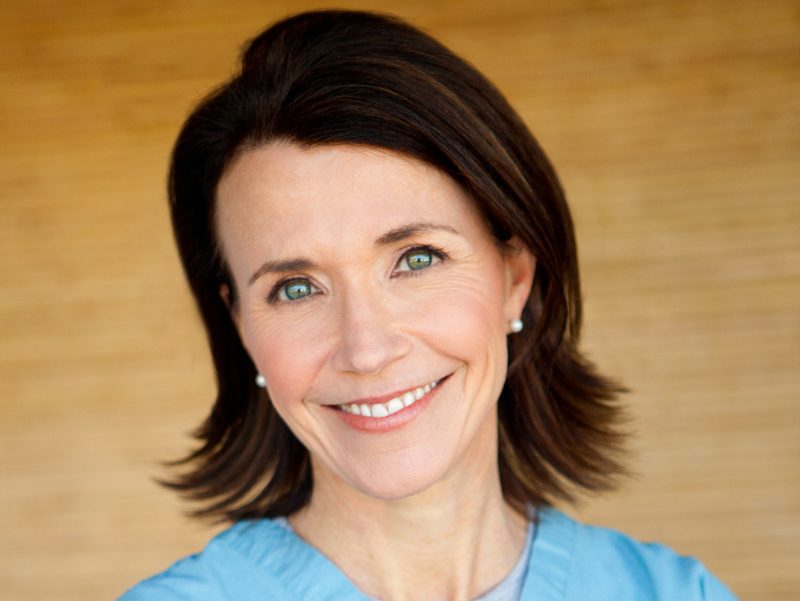 Veterinary medicine had not been on her radar at all until about 10 years ago. That's when she was asked to join the medical advisory board for the Los Angeles Zoo and she began hearing about "congestive heart failure in a gorilla or leukemia in a rhinoceros or breast cancer in a tiger or a lion." Natterson-Horowitz explores the connection between human and veterinary medicine in a book she co-authored with Kathryn Bowers, Zoobiquity: The Astonishing Connection Between Human and Animal Health. "This comparative way of thinking is something that veterinarians learn from their first week of veterinary school," she tells Fresh Air's Terry Gross. "When they learn about the heart, they learn about a four-chambered heart in a mammal and a three-chambered heart in a reptile and a two-chambered heart in a fish. ... Physicians, we don't learn that way. We don't think that way." The realization that a comparative approach, she says, could advance our knowledge of human medicine was something of a revelation. "It's been exciting for me," she says. " ... On rounds with students, when we're talking about ... breast cancer — to point out that breast cancer has been seen in mammals from kangaroos and camels to whales, and that there is an increased rate of breast cancer and ovarian cancer in some Venezuelan jaguars." Doctors, she says, can also learn about human psychological issues — everything from self-injury to sexual dysfunction — from studying the same problems in animals. "Some dogs will just lick and lick and lick at their paws until the skin breaks," she says, "and it starts to bleed, but they continue to lick. So, you see, these grooming-related behaviors ... they're presumably doing this to comfort themselves. It's a kind of attempt to take a very challenging life or environment and make it more acceptable to them." "I learned from veterinarians that, you know, animals from Rottweilers and chihuahuas, in different kinds of canaries and lap dogs, that they can also faint in response to fear, and why that happens is really interesting and shared with us. It turns out that whether it's rabbits or monkeys or deer, that danger and noise — the perception of danger — causes these animals' heart rates to plummet — particularly the juveniles — and that really superslow heart rate keeps them still, and that's probably protective. It's an anti-predation response, which is different from what we typically think about the fight or flight, so it turns out that animals and humans are equipped not with two, but with three responses: fight, flight or faint." "They found that ... a flank-biting stallion, if you bring that isolated horse in a stall and return it to a herd — you know, horses being herd animals — that the companionship can really improve the self-injuring behavior. If there aren't other horses, they have actually had success putting little chickens in a stall with a horse, so just the presence of companionship can help with self-injury." "How a stallion is raised from foalhood has a big impact on his sexual performance and sexual health as an adult. ... First of all, they make sure that the horse does not have too much sexual experience too early. That can be detrimental. They are careful with which mares they put with the young stallion for his first experiences. You know, a mean mare — a mare that might physically hurt the young stallion — could impact him psychologically, so they're just careful about those early sexual experiences." "It used to be different. My father is a physician, and he tells me that when he went to medical school they had courses in comparative anatomy and comparative pathology, but my dad is turning 90 this year, so it seems that sometime between when he went to medical school and when I went to medical school, the comparative perspective of those courses were dropped from the curriculum."